How to stroke a chiffon dress so as not to spoil it? 1 How to iron a blouse or chiffon dress correctly? 2 Ironing chiffon dress or blouse is easy! A chiffon dress is a worthy detail of the wardrobe of any modern woman or girl. As a rule, such dresses are worn for especially solemn occasions. For example, going to a restaurant or a theater. 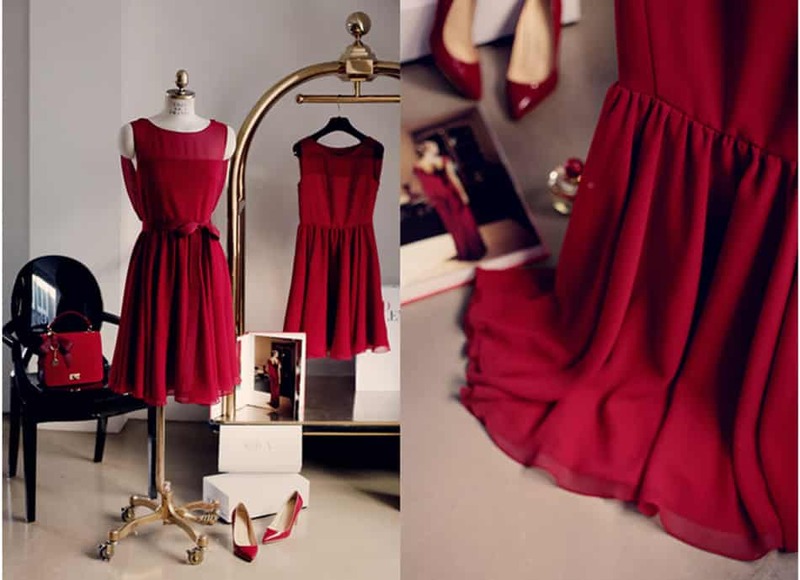 Of course, after a long hovering in the closet, the chiffon dress hesitated slightly. How to stroke a chiffon dress, without harm to the material? If you do not comply with the correct technology of ironing, the elegant dress or blouse will be covered with unsightly stains, from which it is almost impossible to get rid of. How to iron a blouse or chiffon dress correctly? If you wash dresses, scarves or blouses by hand, you can avoid having to iron them with an iron. If you hang clothes from this material on hangers in the bathroom and turn on hot water, then under the influence of steam, it will smooth out and you will not have to use the iron. Similarly, you can put in order and other chiffon products. But with a pleated dress or skirt, this number will not work. Most often for the tailoring of such products it is chosen chiffon, but there are other materials. Let's look at how to stroke chiffon with large, medium or small folds. If you are planning a particularly festive event, then the skirt or dress should be not only well ironed, but also washed. In order for it not to lose its shape, you should sweep the folds with stitches, and pack it in a special bag for washing. You can wash your hands or in the machine in the delicate wash mode. The procedure is performed with the addition of air conditioning. How to stroke a chiffon dress with pleated skirt? First of all, you need to sweep the edges of the folds before washing. After it they do not touch. This will cope with the task much faster. The degree of heating of the iron is chosen depending on the type of material. As a rule, silk products are rarely ironed, but if you need to do this, they do it from the inside out, using gauze. It is strictly NOT worth drying chiffon blouses and dresses on or near the battery, or in the bright sun. Ironing chiffon dress or blouse is easy! Gauze must be used. After one section is smoothed, you need to raise the gauze and make sure of the quality of work, then move to the next. Note! Hot chiffon clean in storage in the closet is not worth it, you need to give it time to cool. In addition, it is not necessary to moisten gauze (of course, if the dress or blouse is still wet, if it is dry, the gauze is moistened and properly wrung out). If contamination is strong or stains cannot be removed with sparing means, it is better to use dry cleaning services. So, to bring a dress, a blouse or a nice scarf made of chiffon in order can be easily and simply. The main thing is to do it. We hope that our advice will help you to look always attractive in your favorite chiffon dress! Care for nubuck shoes, you need to know! Every time I renounce to buy products from chiffon, but then suddenly in some magical way it turns out that I bought again. I love to wear chiffon things, they are so light and flowing, but just caring for them just kills me. Usually I do not iron chiffon things, but simply dry land in a straightened form. And recently, I managed to buy a dress with a skirt in a super-small pleated fold. Now I think, how to iron this whole thing? ... If you smooth out the folds one by one, and even gauze, then there will definitely not be enough patience. I use steam for chiffon dresses. I bought a steam generator and now there are no problems with ironing thin fabrics, a powerful jet of steam smoothes everything perfectly. I used to iron through the iron, it was very uncomfortable and long. Also, before ironing, if the thing was heavily wrinkled, wet it with a spray bottle and let it hang for several hours. The fabric is not as mint and easier to smooth. I always wear clothes made of delicate fabrics on a trempel when drying, so it doesn’t jam and just walk a little with a low-temperature iron. It is a pity that I found this article just now, maybe it would be less spoiled blouses. now and at all began to buy less things from chiffon only because of the fact that it is difficult to care for him.